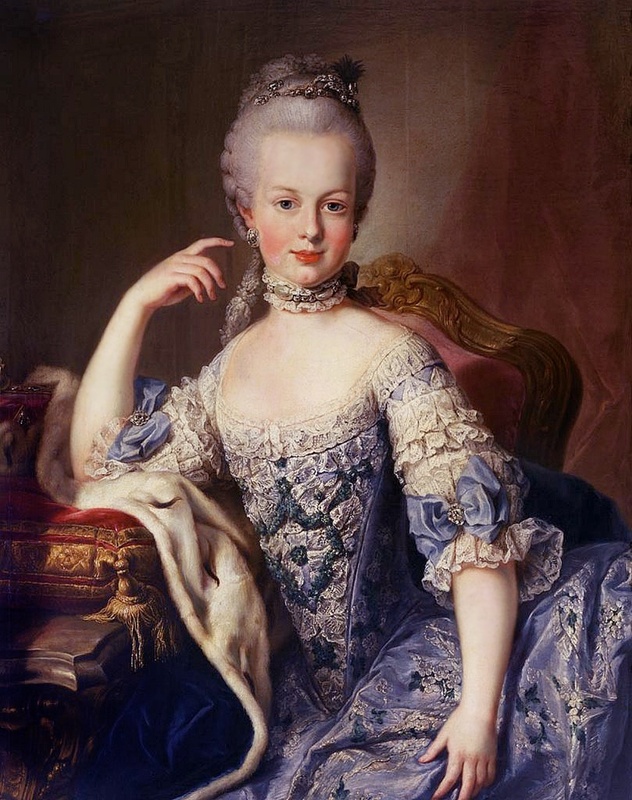 Marie Antoinette, France’s last queen, was born in Vienna on November 2, 1755. She was beheaded on October 16, 1793, by order of the Revolutionary tribunal. In between, her lavish lifestyle seriously pissed people off, leading to the French Revolution and to the overthrow of the monarchy in August 1792. She married at age fourteen, in 1770, to Louis-Auguste. She was homesick and wrote home often to her mother about it. She became queen of France at 19, when Louis XV died and Louis XVI ascended to the throne. She was a high fashion partier, and indulged in gambling and a decadent lifestyle. She and Louis XVI did not consummate the marriage for several years; she gave birth to Marie Therese Charlotte in 1778 and by 1780, she spent most of her time at her own private castle within the Palace of Versailles, and was reportedly involved in an affair with a Swedish diplomat. This is around when things started to take a turn for the worse. She earned the nickname “Madame Deficit” due to her extravagant spending, and public opinion slid rapidly. She was blamed for the theft of a 647-diamond necklace by an imposter and criticized further. So what about that cake? There’s a lot of speculation that she never actually said this, but she is popularly remembered for callously responding “let them eat cake” upon hearing her people had no bread to eat. Let’s assume, though, with her reputation for extravagance, that cake was one of her favorite things (as it is mine).